This delicate, yet extremely powerful eye cream is purely regenerative. It rapidly smoothes and hydrates, reduces puffiness and dark circles. 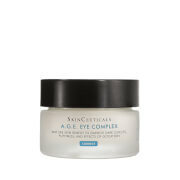 Immediate smoothing and plumping of the fine lines and wrinkles in the eye area occurs. Skin appears less puffy, less distended and more hydrated. 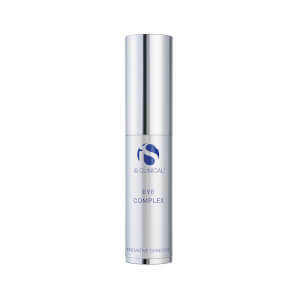 Increased and continued collagen and elastin synthesis rebuild and strengthen the dermal structure over the long term, resulting in continued reduction of more pronounced wrinkles. Dark under-eye circles become less pronounced by inhibiting melanin synthesis and strengthening delicate skin. 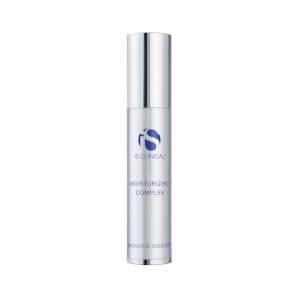 Skin Strengthener - Hydrolyzed proteins target cells that need repair and directs formation of new collagen, making the tender under eye skin thicker, stronger and better able to resist damage. Anti-aging - Triggers collagen production and inhibits the destruction of proteins that weaken the skin. It contains no alpha or beta hydroxy acids. 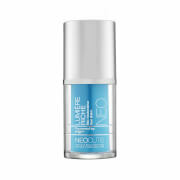 Rebuilds skin structures from a cellular level, while providing protection. A proprietary blend of antioxidant rich vitamins and botanicals including Vitamins A, C, E, B5, K and Centella Asiatica contribute to cellular integrity. 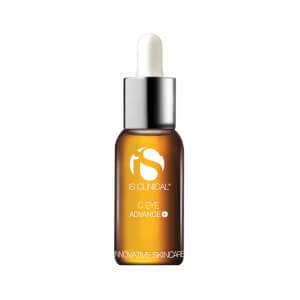 Benefits include collagen synthesis and overall improved cellular (and skin) health. Avoid eye contact. Store in a cool place. Water (Aqua), Sodium Hyaluronate, Caprylic/Capric Triglyceride, Glycerin, Acetyl Octapeptide-3, Glyceryl Dilaurate, Pseudoalteromonas Ferment Extract (Pseudoalteromonas Ferment), Hydrolyzed Wheat Protein, Hydrolyzed Soy Protein, Tripeptide-10, Citrulline,Tripeptide-1, Lecithin, Silica Dimethyl Silylate, Dimethicone, Cetyl Alcohol, Cetearyl Alcohol, Ceteareth-20, Glyceryl Stearate, PEG-100 Stearate, Glycosaminoglycans, Urea, Glucose, Guanidine HCl, Dipalmitoyl Hydroxyproline, Panthenol, Centella Asiatica Extract (Centella Asiatica), Phospholipids, Retinyl Palmitate, Tocopheryl Acetate, Ascorbyl Palmitate, Pantothenic Acid, Phytonadione, Dipotassium Glycyrrhizate, Butylene Glycol, Xanthan Gum, Carbomer, Triethanolamine, PVP, Ethylhexyl Palmitate, Disodium EDTA, 1,2-Hexanediol, Caprylyl Glycol. Great products but shipping is HORRIBLE! Takes way too long, not as described. I've been using this eye cream for almost a year now, and I love it. It's definitely worth the price. 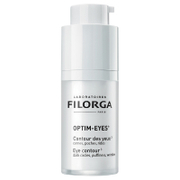 This light weight eye product delivers what it promises and more. When you first apply you can notice eye wrinkles getting softer. It also really lightens darkness in the eye area. Amazing it delivers and is so light weight. I love this for day time as it is a great base for eye make up. If I use to much I apply to lines around mouth and on lips so it doesn't get wasted.